JJ Loughran Online Shop Now Open! JJ Loughran have now opened our own online shop on our website making it easier and more convenient to make purchases with us. 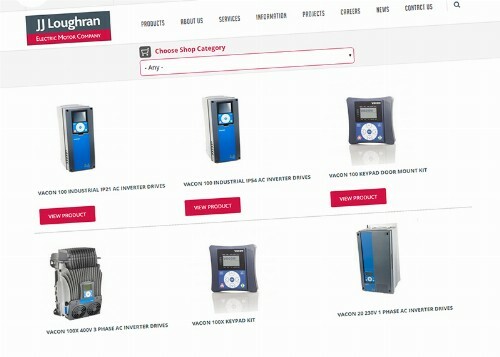 We are currently selling our range of Vacon® inverters with shipping across the UK and Ireland. More products are being added in the future.